abian awarded T143486: [feature request] remove sitelinks / update sitelinks on Wikidata when pages are deleted/moved on client wikis (all users) a Like token. Esc3300 added a comment to T197566: sparql replace "q" modifier not accepted. Esc3300 awarded T195386: Provide useful HTML title for Lexemes a Meh! token. Esc3300 updated the task description for T197566: sparql replace "q" modifier not accepted. Esc3300 added a comment to T197777: potential issues with planned release of query logs (Wikidata Query Server). So you think it's not possible to link some of the queries to specific users? Clearly we disagree on the proposed release, its scope and users expectations for privacy. If one thinks it's normal to publish users search history, the arguments you advance are probably a valid point of view. Esc3300 added a comment to T191424: track number of Lexemes, Forms and Senses. Maybe page properties should include counts of lemmas, forms and senses, as they do for statements and identifiers. Esc3300 updated the task description for T197777: potential issues with planned release of query logs (Wikidata Query Server). Esc3300 created T197777: potential issues with planned release of query logs (Wikidata Query Server). Esc3300 added a comment to T195372: Prevent entering of lemmas with the same spelling variant. Do we have any discussion of this usecase onwiki? It seems contrary to a problem raised onwiki. Esc3300 created T197566: sparql replace "q" modifier not accepted. Esc3300 added a parent task for T196858: Allow parameters & wildcards in federation endpoint whitelists: T197530: [tracking] federation query issues on Wikidata Query Server. Esc3300 added a subtask for T197530: [tracking] federation query issues on Wikidata Query Server: T196858: Allow parameters & wildcards in federation endpoint whitelists. Esc3300 created T197532: process user onwiki feedback for Wikidata property suggestor. Esc3300 added a parent task for T196859: Querying prohibited endpoint with SERVICE SILENT still produces an error: T197530: [tracking] federation query issues on Wikidata Query Server. Esc3300 added a subtask for T197530: [tracking] federation query issues on Wikidata Query Server: T196859: Querying prohibited endpoint with SERVICE SILENT still produces an error. Esc3300 added subtasks for T197530: [tracking] federation query issues on Wikidata Query Server: T195203: Federated SPARQL queries https://data.pdok.nl/sparql failing with error 500, T197278: SILENT not working when a federation query times-out Wikidata Query Server, T196798: SPARQL federated query SERVICE endpoint syntax (variable instead of uri). Esc3300 added a parent task for T195203: Federated SPARQL queries https://data.pdok.nl/sparql failing with error 500: T197530: [tracking] federation query issues on Wikidata Query Server. Esc3300 added a parent task for T196798: SPARQL federated query SERVICE endpoint syntax (variable instead of uri): T197530: [tracking] federation query issues on Wikidata Query Server. Esc3300 added a parent task for T197278: SILENT not working when a federation query times-out Wikidata Query Server: T197530: [tracking] federation query issues on Wikidata Query Server. Esc3300 added a parent task for T197509: Federated SPARQL queries using datos.bne.es don't allow binding: T197530: [tracking] federation query issues on Wikidata Query Server. Esc3300 added a subtask for T197530: [tracking] federation query issues on Wikidata Query Server: T197509: Federated SPARQL queries using datos.bne.es don't allow binding. Esc3300 created T197530: [tracking] federation query issues on Wikidata Query Server. Esc3300 added a comment to T197509: Federated SPARQL queries using datos.bne.es don't allow binding. Esc3300 added a comment to T190874: Legal review for Wikidata queries data release proposal. Thanks. I can get it to load know. Not sure what happened. I will have a look. Esc3300 added a comment to T197253: Make short prefix for Lexemes. Thanks. I added details there as well. Esc3300 added a project to T195493: Set up “L” as an alias for the “Lexeme” namespace: Discovery. Esc3300 created T197278: SILENT not working when a federation query times-out Wikidata Query Server. Esc3300 reopened T190874: Legal review for Wikidata queries data release proposal as "Open". Esc3300 reopened T190874: Legal review for Wikidata queries data release proposal, a subtask of T183020: Investigate the possibility to release Wikidata queries, as Open. I had a look at the sample, but there doesn't seem to be any data. The three compressed files seem empty. Esc3300 added a comment to T195652: enable Senses on beta system. (tries to imitate Lydia's voice) "it is fine"
Esc3300 added a comment to T196980: Lemma order not guaranteed. You mean (e.g.) "visualize" and "visualise" on https://www.wikidata.org/wiki/Lexeme:L11 ? Esc3300 added a comment to T189736: [Epic] Lexeme search. To restrict search to properties, one can use "p:". Is it already planned somewhere to use "l:" for lexemes? Esc3300 added a comment to T196896: Wikidata entity search results do not show recently added lexemes. Esc3300 added a project to T196328: Wikidata / Grafana - track the number of statements per datatype: WMDE-Analytics-Engineering. Esc3300 awarded T195765: Export original TeX string of math values in RDF a Pterodactyl token. Esc3300 added a comment to T195203: Federated SPARQL queries https://data.pdok.nl/sparql failing with error 500. Esc3300 added a comment to T194812: Is it possible to make the federation registry system to output dcat descriptions for each registered Wikibase?. Esc3300 removed a project from T196872: Make xpath-functions/math available on Wikidata Query Server: Math. Esc3300 created T196872: Make xpath-functions/math available on Wikidata Query Server. Esc3300 added a comment to T143819: Data request for logs from SparQL interface at query.wikidata.org. Shouldn't users opt-in to this? Esc3300 added a comment to T85444: [Story] get Wikidata added to LOD cloud. When using https://query.wikidata.org/sparql in a browser, it displays an XML with some information about the database. Esc3300 added a comment to T196858: Allow parameters & wildcards in federation endpoint whitelists. Couldn't be set as prefix or variable? Esc3300 added a comment to T196859: Querying prohibited endpoint with SERVICE SILENT still produces an error. Esc3300 added a comment to T196798: SPARQL federated query SERVICE endpoint syntax (variable instead of uri). It seems that even when using URI, the same service can be called just once. Esc3300 updated the task description for T196798: SPARQL federated query SERVICE endpoint syntax (variable instead of uri). Esc3300 created T196798: SPARQL federated query SERVICE endpoint syntax (variable instead of uri). Esc3300 added a comment to T196162: Adding a new Sense. Esc3300 added a comment to T196273: Remove existing gloss. Probably not. If the "Gloss" was added by a vandal I suppose this couldn't have happened without a "Sense" that should also be deleted. Esc3300 updated the task description for T196328: Wikidata / Grafana - track the number of statements per datatype. Esc3300 created T196328: Wikidata / Grafana - track the number of statements per datatype. Esc3300 removed a project from T196327: [User story] Diff views in MediaWiki for Wikidata should be grouped by property: Story. Esc3300 created T196327: [User story] Diff views in MediaWiki for Wikidata should be grouped by property. Esc3300 updated subscribers of T195765: Export original TeX string of math values in RDF. If it's a problem having both formats, I think the input format only should be exported. Esc3300 updated subscribers of T195816: Add monolingual language code ja-Hira, ja-Kana, ja-Hrkt, ja-Hani, ojp, ojp-Hira, ojp-Hani. @Amire80 what's langcom's view on these? Esc3300 awarded T196165: Commons image: when pasting the exact title, get the correct file first in the suggester a Insectivore token. Esc3300 added a comment to T195754: Re-enable Special:ItemDisambiguation. Moving it to search wont solve it then. Esc3300 added a comment to T163642: Index Wikidata strings in statements for fulltext search. I don't see clear disadvantages of doing the indexing Multichill suggests. Esc3300 added a comment to T99899: [Story] Looking up entities by external identifiers. In terms of functionalities, what's the outcome of this? Esc3300 added a comment to T195302: Language, Lexical Category, and Grammatical features of a lexeme do not show up in Special:WhatLinksHere. I think it would help to not wait too long before fixing this. It might be useful as a Wikibase feature, but on Wikidata itself it might not fully scale anymore. Esc3300 added a comment to T132839: [RfC] Property suggester suggests human properties for non-human items. Esc3300 reopened T142852: BC dates in Primary Sources tool as "Open". Esc3300 reopened T142852: BC dates in Primary Sources tool, a subtask of T87764: Bugs related to time datatype (tracking), as Open. Esc3300 added a comment to T142852: BC dates in Primary Sources tool. It needs a cleanup of data in there as well. Esc3300 created T195776: Set "noindex" for Wikidata entites (items, properties, lexemes). Esc3300 added a comment to T195702: track quality of all/top 10000 Wikidata items over time. Sounds like an interesting idea. It might be easier to do a static set and measure how that evolves. Uses can change a lot through changes in templates. Esc3300 updated the task description for T195765: Export original TeX string of math values in RDF. Hjfocs awarded T145930: Primary Sources tool suggests (and adds) statements violating constraints a Like token. 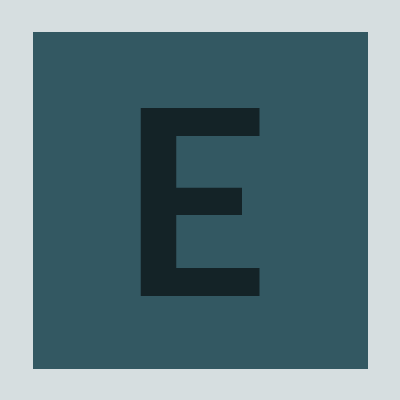 Esc3300 added a comment to T167989: Add “integer” constraint. Esc3300 added a comment to T155425: Add monolingual language code phn (Phoenician). Don't hold your breath ..
Could the output include an integer triple as well? Esc3300 added a comment to T173594: Add support for “separators” parameter of “single value” and “single best value” constraint types. Esc3300 added a comment to T74430: Re-implement uniqueness constraint in a consistent and efficient way. at some point "unique" was changed to "distinct" on Wikidata constraints. Esc3300 added a comment to T164372: Implement “Units” constraint. I'm not sure if it's a good idea to allow any convertible unit by default. Pintoch awarded T145930: Primary Sources tool suggests (and adds) statements violating constraints a Like token. Esc3300 added a comment to T175588: Server overloaded .. can't save (only remove or cancel). yeah .. probably the same thing. Hadn't notice that I unfocused it though. At Wikidata, I tried to change or add value to statements with item datatype, e.g. enter the place of birth a person. The border around the entry field changes colors (depending on whether the value meets constraints or not), but then fails to allow me to save it (cancel or remove are enabled). Esc3300 updated subscribers of T175588: Server overloaded .. can't save (only remove or cancel). @BBlack can you confirm this is unrelated. @matej_suchanek had suggested T175473. Esc3300 updated the task description for T175588: Server overloaded .. can't save (only remove or cancel). Esc3300 added a parent task for T175588: Server overloaded .. can't save (only remove or cancel): T174932: Recurrent 'mailbox lag' critical alerts and 500s. Esc3300 added a subtask for T174932: Recurrent 'mailbox lag' critical alerts and 500s: T175588: Server overloaded .. can't save (only remove or cancel). Esc3300 added a parent task for T175588: Server overloaded .. can't save (only remove or cancel): T175473: Multiple 503 Errors. Esc3300 added a subtask for T175473: Multiple 503 Errors: T175588: Server overloaded .. can't save (only remove or cancel). Esc3300 added a project to T175588: Server overloaded .. can't save (only remove or cancel): Wikidata. Esc3300 created T175588: Server overloaded .. can't save (only remove or cancel). Esc3300 updated the task description for T175148: uppercase schema:inLanguage on Wikidata Query Service. Esc3300 added a subtask for T145535: language code disparity (Wikidata tracking): T175148: uppercase schema:inLanguage on Wikidata Query Service. Esc3300 added a parent task for T175148: uppercase schema:inLanguage on Wikidata Query Service: T145535: language code disparity (Wikidata tracking). Esc3300 created T175148: uppercase schema:inLanguage on Wikidata Query Service.